Yaki is a play system designed for children aged approx. four years and up. With its specially designed climbing net and vertical climbing wall panels, there is no easy way up onto the towers. Climbing is both fun and healthy, because it exercises children’s cross-coordination skills. This stimulates neural activity between both sides of the brain, which also happens when children are learning to read. 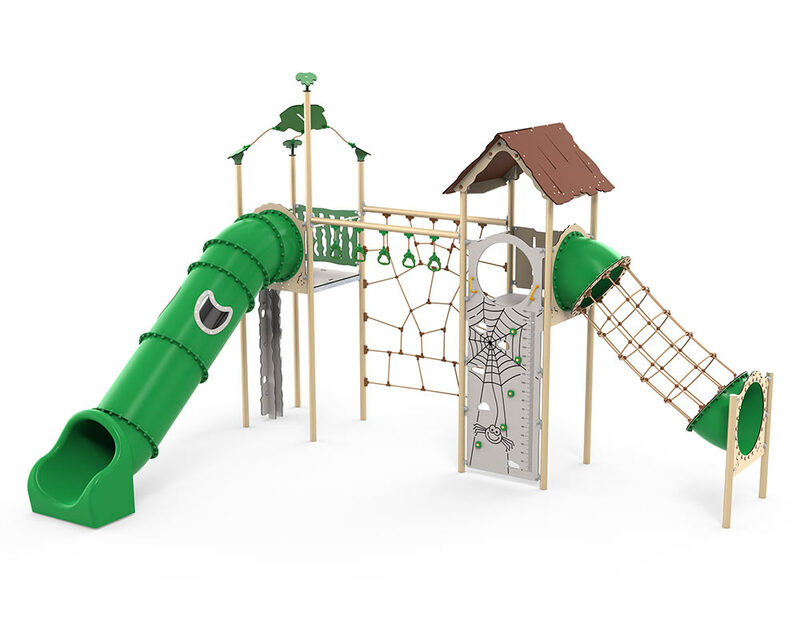 For many years, LEDON’s tube slides have been very popular in the playground, and they can be designed in many different ways. The window ensures that light enters the tunnel. Yaki’s floor height of 190 cm guarantees high-speed slides.